AP POLYCET Answer Key 2018 Download is available. 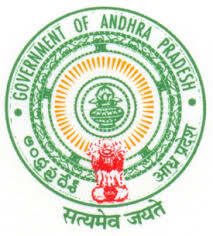 Andhra Pradesh POLYCET Preliminary Key with Solutions & Question papers for A, B, C, D sets are available at polycetap.nic.in. Check AP POLYCET 2018 answer Keys for 27th April 2018 Exam. State Board of Technical Education and Training Andhra Pradesh (AP SBTET) will release AP POLYCET / CEEP 2018 answer key in online mode for all the candidates who appeared in the entrance exam. The answer key of AP POLYCET 2018 will help candidates to check their answers given by them in AP POLYCET exam with the ones provided by experts. The university will first release the AP POLYCET 2018 preliminary answer key on April 29, 2018. Candidates can download answer key with Question papers set wise. AP Polycet Question Paper key updated here soon. State Board of Technical Education and Training Andhra Pradesh (AP SBTET) annually conducts the Polytechnic Common Entrance Test (POLYCET) examination for the students seeking admission in Polytechnic/Diploma courses. The 10th class completed students have applied for the AP POLYCET examination. This exam is annually conducted by the SBTET. Based on the rank obtained by the aspirants, the admission will be offered to the students. Candidates have to get the good merit out of the severe competition to get admission in their desired courses. Download AP POLYCET answer sheet. AP POLYCET Answer key 2018 Link appears on the homepage. Click on the link. POLYCET Answer Key for all sets appears on Screen.